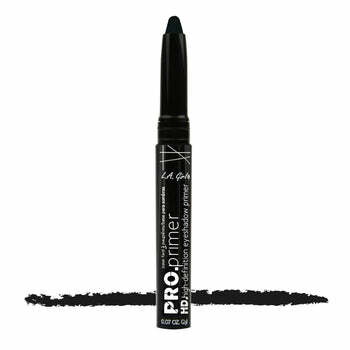 HD PRO Primer Eyeshadow Stick is a multi-tasking primer that has a light weight, non-sticky formula that sets for a long-lasting eye makeup application. The smooth texture glides over eyelids to prep your eyes for a flawless, even application. HD PRO Primer Eyeshadow Stick is a universal primer that serves as a base, works on all skin types and allows you to wear your favorite eyeshadow all day long while enhancing the pigments in most eyeshadows. Using the easy stick applicator, gently blend eye primer across the upper eyelid from the lash line to the brow bone. 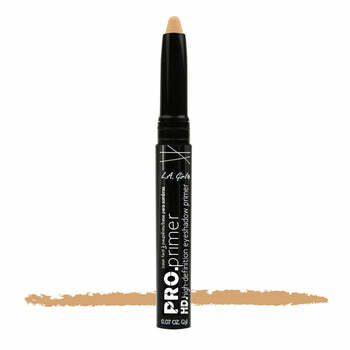 Apply on the under eye area to neutralize the look of dark circles and prime for concealer application.